Khloe Kardashian has a major dating "deal breaker." On Wednesday, the reality star, who was snapped getting close with the New York Giants wide receiver Odell Beckham Jr. at Drake's Memorial Day party , broke down dating guidelines via her app. 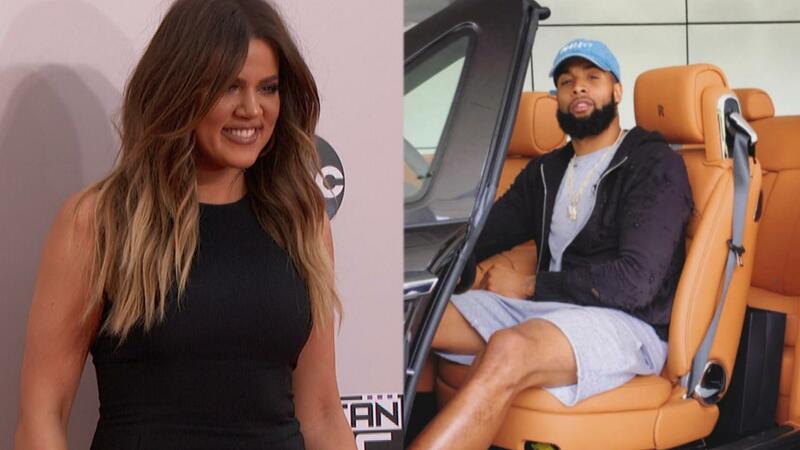 EXCLUSIVE: Khloe Kardashian Definitely Not Dating NFL Pro Odell Beckham Jr.
"I really only have one deal-breaker: Do not Google me before our date!!! When you try to get to know me though Google instead of actually talking to me, it bothers me," she wrote. "The date becomes an interview, and it's weird. I prefer to talk organically and let conversation happen." She's not easily fooled either. Khloe says she can "always tell" when a potential date researched her beforehand. "One time, a guy literally said,'I saw that you dated so-and-so,'" she continued. "I had never even met the person they were referring to, so I asked, 'Where did you see that? Did you see me out with him?' Obviously, his answer was no!!!" Unfortunately for the guy, reading internet gossip didn't earn him any points with Khloe. "That really turned me off. I mean, sometimes you hear things through the grapevine and that's natural, but you can't take the stuff you read online for gold." No matter how tough it is to maneuver through the dating pool, Khloe maintains that she's "very open when it comes to dating new people." Last week, the 31-year-old Strong Looks Better Naked author filed for divorce from Lamar Odom for a second time. She previously dated rapper French Montana and Houston Rockets shooting guard, James Harden. "I'm cool if you have kids, I'm cool with whatever — I try not to judge," she added. "I mean, if people looked at my life, they'd be like,'That b**** crazy!' I think part of the reason it bothers me so much is because I can't Google everybody else to the same degree, LOL. It's not fair!!!" Find out what else Khloe recently revealed about herself in the video below.